Men of the Ogun State police command have arrested three suspects who were transporting 40 bags of weeds suspected to be Indian hemp from Edo State to Lagos. 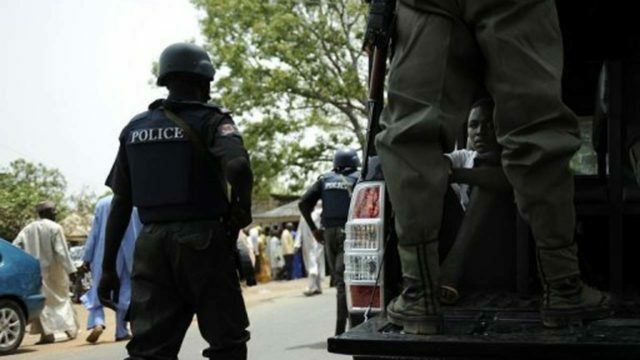 The command’s spokesman, Mr. Abimbola Oyeyemi, in a statement in Abeokuta, the Ogun State capital yesterday disclosed that the suspects were arrested along the Benin-Shagamu expressway on Wednesday following an intelligence report received by the command. “On the strength of the report, the Commissioner of Police, Ahmed Iliyasu, directed the officer-in-charge of the Federal Special Anti-Robbery Squad (FSARS), Uba Adams, to go after the suspects,” he said. Oyeyemi named the suspects as Frank Osai, 39; Elvis Okuse 25; and Kelvin Ogagaoghene 24. “On interrogation, they confessed that the weeds were meant to be delivered to a customer who they simply identified as Uche in Lagos,” the statement disclosed. The statement indicated that the Commissioner of Police has ordered a full-scale investigation into the activities of the suspects as well as their sponsors.